Following on from a comment made on the 'Smash Hits' thread about Bernard introducing songs with 'made up' titles, I started looking for a specific one of these anecdotes within my collection. 'Last Night I Had A W**k From A Girl With A Spotty Back'. Now, I've definitely heard this track, but I'll be beggared if I can find it. I seem to think it's on the 'Ostrich-A-Go-Go!' 7" bootleg, but I may be mistaken. Sadly, I don't have this EP anymore, but I think that's where I heard it originally. Additionally, although I have the rest of the Nagoya gig, I seem to be missing both 'Touched...' and 'Atmosphere' (the last two tracks) from the gig. I'd love to hear this version of 'Touched...' again. So, does anyone actually have the 'Ostrich' 7" that they could rip for me? Or, better still, have a copy of the complete gig that includes both missing tracks? I seem to think it's on the 'Ostrich-A-Go-Go!' 7" bootleg, but I may be mistaken. ...so, does anyone actually have the 'Ostrich' 7" that they could rip for me? I didn't know it existed until now! Thanks for the education. They have it as 30th Feb rather than january. Don't you love the way Discogs has banned the sale of these sort of bootlegs? Numpties. *EDIT* weirdly THIS hasn't been banned from sale and it has your Atmosphere as well as your Ostrich. For a price. Edited by user 03 February 2019 12:20:42(UTC) | Reason: guess. Thanks but both Atmosphere and Ostrich on the bootleg you linked to are from Woolwich Coronet and I have both of these tracks already (on a bootleg of the complete gig). What I’m after is Touched By The Hand Of God and Atmosphere, both from Nagoya, Japan, 30/01/87. I know that Touched is available as I have heard it (on that Ostritch EP), but don’t have it. I believe that Atmosphere is available on a tape of the complete Nagoya gig that’s doing the rounds somewhere in the wild. My version of the complete gig misses both tracks out, for some reason. B) A rip of both Touched By The Hand Of God and Atmosphere from the complete unedited Nagoya gig. Never heard of that Ostrich a-go-go bootleg ep. Had a search on Soulseek for the Nagoya gig but nothing. Thanks for looking, Fotzepolitic. I appreciate it. I don't have access to torrents, p2p etc. 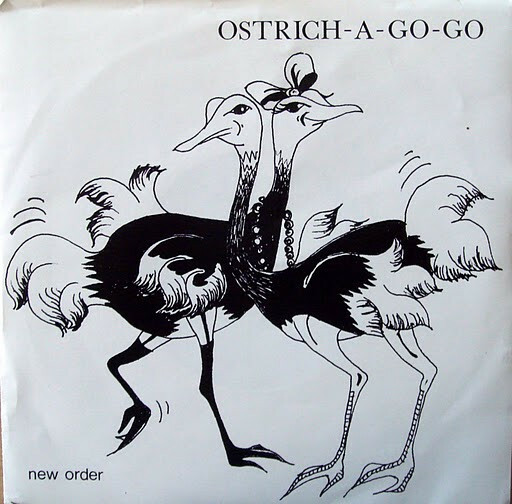 I always thought that the 'Ostrich-A-Go-Go' EP was the main source for the vocal version of 'Let's Go' (the early 'waiting for so long' version). I therefore assumed most other fans knew of the EP, as everyone seemed to have a copy of 'Let's Go'. Also, I always seemed to notice the EP at record fairs, back in the day (maybe it was always the same copy and no one ever bought it :-) ). This page was generated in 0.464 seconds.